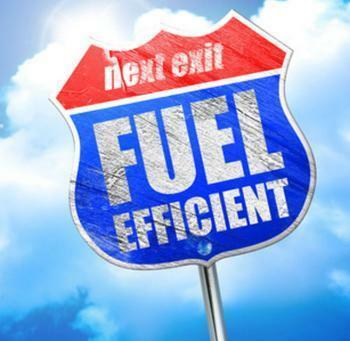 Up until 2014, it appeared automakers were on cruise control as they worked their way toward meeting the government's mandated fuel economy standards, known as CAFE. But in late 2014, fuel prices began to rapidly decline and have stayed low ever since. As a result, consumer automotive preferences suddenly changed. Up until then, there was demand for small, fuel efficient four-cylinders, hybrids, and even electric cars. But consumers turned away from those vehicles in favor of trucks and SUVs. That's proved to be a problem for automakers, since the CAFE targets are based on the average fuel economy of a manufacturer's fleet. If there are more trucks and SUVs in the fleet, the average fuel economy goes down. Automakers asked federal regulators to take that into consideration, but last week the Environmental Protection Agency (EPA) and the Department of Transportation’s National Highway Traffic Safety Administration (NHTSA) jointly finalized standards for medium- and heavy-duty vehicles that pretty much stick to previous targets, when there were more fuel efficient vehicles on the road. Those standards begin to take effect in 2018. EPA says the industry can still meet the targets because it possesses the technology to make trucks even more fuel efficient. “The final standards are expected to lower CO2 emissions by approximately 1.1 billion metric tons, save vehicle owners fuel costs of about $170 billion, and reduce oil consumption by up to two billion barrels over the lifetime of the vehicles sold under the program,” the agency said in a release. Brauer says automakers may have erred in doing such a good job in meeting the CAFE standards every time the government raised them. Environmentalists have applauded the regulators' stand. But a report by American Action Forum predicts the costs of meeting the new standards could exceed $245 billion. What's behind the rising traffic death toll?